Larger city food scenes tend to hog the spotlight, but Fort Wayne, IN isn't just hanging out in the shadows. With various, unique eateries to choose from within the city limits, your tastebuds will never be bored. From vintage diners, modern coffee shops, local breweries, and artisan bakeries, it's no surprise Food & Wine deemed Fort Wayne as "an unexpected hipster hotspot." 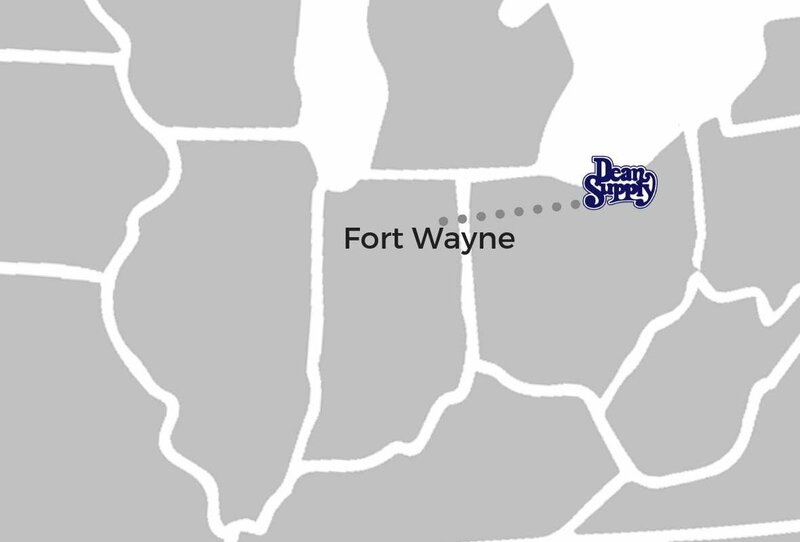 At Dean Supply, we're ready and waiting to provide all the Fort Wayne restaurant supplies to keep all the delicious food on trendy plates so every customer leaves happy. From commercial dinnerware, glassware, bakery supplies, janitorial supplies, disposable containers and so much more, you can always rely on Dean Supply to give you the best products at rock bottom prices. With over 14,000 items in stock at our Cleveland warehouse, we are ready and waiting to provide fast, reliable shipping to get your restaurant supplies to your Fort Wayne business with less stress. What our customers love most about working with us (besides our superior customer service, everyday low prices, and selection of items) is the flexibility to buy small or bulk quantities. You only have to buy what you need so you stay on budget and only store the inventory that you actually need. We are also open to the public, so we are your ulimate online kitchen supply store for every chef. Are wondering where to buy restaurant equipment for your Fort Wayne business? Dean Supply has that too! We have a complete line of commercial kitchen equipment to outfit your business without emptying your wallet, including commercial ranges, concession equipment, high-performance blenders, griddles, soup kettles and much more. We are you one-stop-shop for any food preparing, cooking, serving, or cleaning needs.